Show your Creativity, Collaboration and Courage! 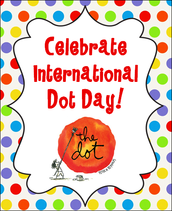 McAnally McCats will be joining the International Celebration of Dot Day! 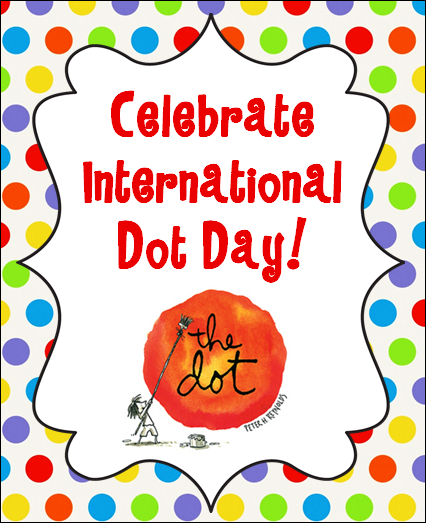 International Dot Day is based on a book by Peter H. Reynolds titled The Dot. It is celebrated world wide on September 15th each year. The themes of the book are bravery, creativity and self-expression. Challenge someone to make their mark in their school, family, community or the world! Have fun celebrating and thinking how you plan to leave your mark at McAnally this year! Fun Activities throughout the week to emphasize student's unique qualities and the power of cooperation! Monday - Thursday: Gumball Estimation Game at Lunch. Winners announced Friday! Monday: Social Studies teachers show YouTube video of the book The Dot by Peter H. Reynolds and do an art project for hallway display. Wednesday: Wear your DOTS dress up day! Monday - Friday: DOT Patrol looking for students showing leadership, special Art project in Art class, sing the DOT song in Music, DOT race in PE, dot related lessons in each subject area! Friday: Tentative Connecting the DOTS globally in library. Examples of Dot Celebrations at McAnally! Dot Paper Plate Artwork and Chatterpix! 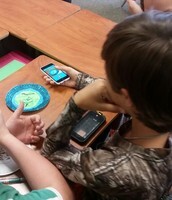 During Character Education the students used their Dot Artwork to create a Chatter pix. 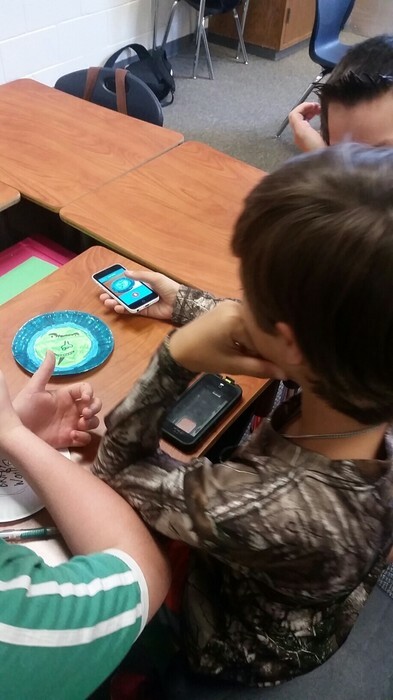 ChatterPix is an app where students can use their own voice to animate their pictures. 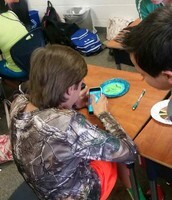 Using an Ipod/Iphone/IPad, students used their devices in class to download the ChatterPix app. You can turn any picture from the camera roll into a talking ChatterPix. After completing the voice over, you can text or email the video. 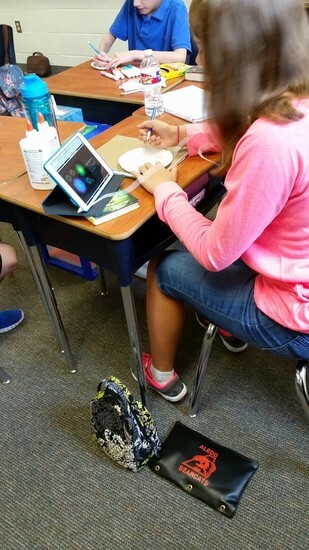 Students completed a paper plate dot art project during Social Studies after watching the book, The Dot youtube video. During character education class, students brainstormed how they will demonstrate leadership and making their mark at McAnally this year. 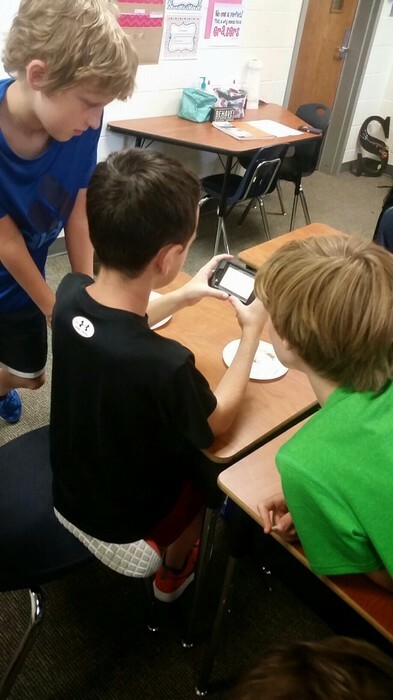 They then took pictures of their paper plate dot, downloaded the Chatter pix app and then recorded their voice giving examples as to how they will leave their mark and make a difference at McAnally Intermediate School. 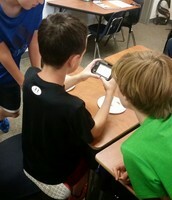 Several students shared their ChatterPix with the class. We will use the videos when we make our school wide Dot Week Celebration video. #DOTDAY - search on Twitter to see examples of how other schools celebrated DOT Day! The chatter pix app was fun and easy to use. Several students had a difficult time downloading the app because of forgotten Itunes passwords or because they had Kindles. Next time I will give a days notice so they can download the app at home the night before. Also, a few students did not have an email account set up on their device so they were unable to email it to the teacher (so we had to give our phone number so they could text it to us). In order to post the videos on the smore page, I had to use vimeo or youtube which took more time. 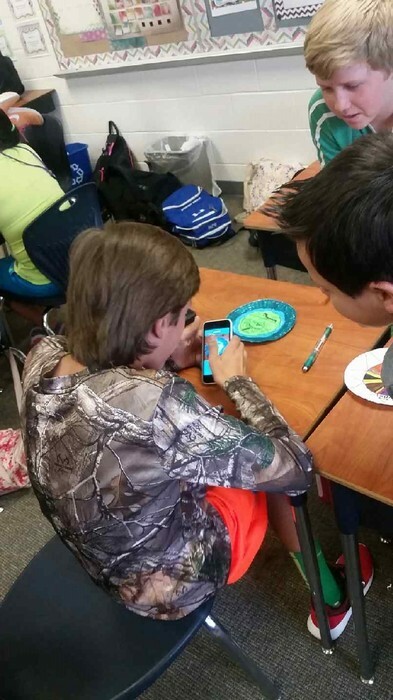 There was not much planning time involved for the use of this app and it was a great conclusion to a lesson. The kids seemed to have fun and were engaged, although it did not take very long. I should have planned something for them to do while they were waiting to share devices and for others to finish. Overall, it was fun and quick and I can see teachers using this a few times throughout the year.